The ASA Dementia Friendly Swimming Project has been recognised at the Alzheimer’s Society Dementia Awards 2015. 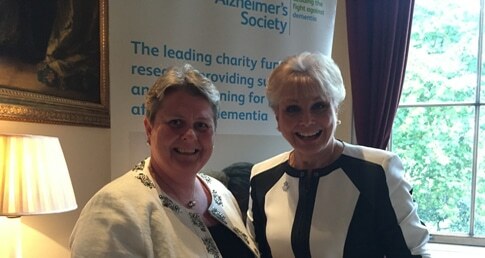 The project was one of three finalists in the Best Dementia Friendly Project category at a special event in London hosted by Alzheimer’s Society Ambassador Angela Rippon OBE. Adam Paker, ASA Chief Executive, said: “Swimming is proving to be a fantastic activity for people with dementia and their carers and to have been selected as a finalist in the Best Dementia Friendly Project category shows the positive impact we are making. Lara Lill, Head of Health and Wellbeing at the ASA, added: “The pools are working to make sure the environment is friendly, safe and sociable with particular changes being made to aid every individual’s visit. The Award was one by West Yorkshire Playhouse. The Dementia Friendly Swimming Project has been developed to enhance the swimming experience of those living with dementia and their carers by improving facilities and removing barriers. The project was launched in February 2015 and sessions are currently being held at locations in Durham and Manchester. Over the next few months the ASA will be working with local partners to roll the project out to an additional six locations across England. For more information about the Project, including how to get involved as a partner, please click here. Find out more information about the shortlists and awards.